Mazda is interested in developing fuel-cell vehicles with Toyota, which produces the Mirai, the world's only mass-market fuel-cell car. TOKYO (Reuters) -- Toyota Motor Corp. and Mazda Motor Corp. are in talks to expand their technology partnership to fuel-cell vehicles, sources told Reuters on Saturday, as global automakers face rising costs to comply with stricter emission regulations. The two Japanese automakers already have a technology and production tie-up, and Toyota was now considering providing fuel-cell and plug-in-hybrid technology to Mazda, said the two sources, who were not authorized to discuss the matter publicly. Mazda, in return, was considering offering its partner fuel-efficient gasoline and diesel engine technology under its proprietary SkyActiv series, the sources said. Mazda has been trying to develop FCVs on its own, but it has decided to team up with Toyota, which produces the Mirai, the world's only mass-market fuel-cell car, the sources said. 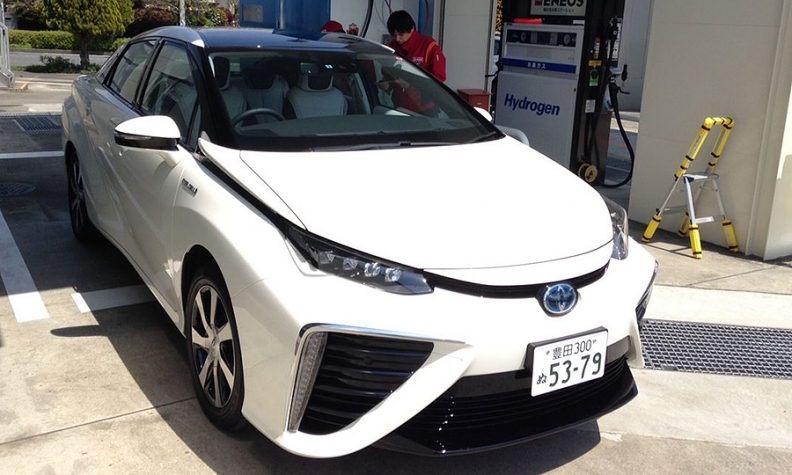 Toyota has said hydrogen FCVs offer the most promising zero-emission alternative to conventional cars since they have a similar driving range and refueling time. Toyota has already decided to share some of its patents concerning fuel cell technology for free, hoping this will speed up the development of the infrastructure. The Nikkei business daily reported the two companies intended to reach an agreement on the partnership soon. Toyota and Mazda officials said nothing has been decided.